We are a leading Manufacturer of aprite, malt based chocolate powder, aprite malt based food, chocolate malt powder, malted milk food and health drink chocolate flavor from Aurangabad, India. Aprite is malt based supplement. It is dlecious nutritional supplement fortified with vitamins,minerals with DHA. It is available in attractive packing. It is available with herb extracts also. Our organization is counted among the eminent enterprises that are offering Malt Based Chocolate Powder. Under this brand Urja. The offered powder is prepared by the food experts in compliance with the industry standards. Our offered chocolate powder is one of the best tasting health drink in the market. Moreover, we offer the malt based chocolate powder at industry-leading prices as per their convenience. Packaging Details: 200 gm to 1 kg packing sizes in aluminium pouch / PET / HDPE / TIN / Glass packing. Aprite is herb based malt based food.You can add with milk to make delicious drink.It is available in chocolate,Mango,Kulfi flavors. Owing to the support of latest manufacturing facility, we manufacture and supply a wide range of Chocolate Malt Powder an Advance Urja Powder. The offered powder is prepared by our food experts making use of natural extracts following industry and health standards. 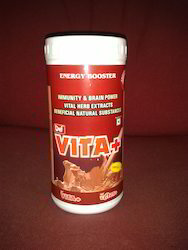 Our powder is one of the best health supplement available in the market having chocolate taste. Urja powder offered by us acts immediately as it contains extra herb extracts in concentrated form. Moreover, anyone above age of 6 years can consume it without any hesitation. We are instrumental in offering Malted Food Drinks. URJA + is malt based health food drink, which is available in variety of flavors like vanilla, chocolate and strawberry. The offered drinks contain extracts like ashwagandha, bramhi, shatavari, shankhapushpi and jatamansi. Our drinks meet the needs of every Indian diet and helps in meeting the requirements of essential nutrients in children, pregnant & lactating mothers. Moreover, our offered drinks are very beneficial supplement to aid not only the growth but also enhance the memory, immunity & concentration power. For enhancing the lactation of lactating mothers as it contains shatavari. 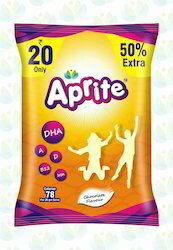 Aprite is available in Rs.20 sachet. We offer malt extract powder with good quality.It will enhance the taste of the product.And usefull for instant energy.